In the wake of the 2019 legislative session, people across New Mexico are taking stock of how much Legislature-approved money to fund infrastructure will end up in their communities. There’s a lot of it–$933 million in the main capital outlay bill and an additional $60 million in “junior” spending bills drafted after lawmakers realized how flush the state is in oil money. Gov. Michelle Lujan Grisham has until April 5th to sign legislation. Before she signs off on the infrastructure spending, called capital outlay, it’s possible she’ll use her line item veto authority to strike some of the projects. She asked state agencies to “vet” projects, according to an email sent last week to potential recipients by the Department of Finance and Administration. And if she follows in her most recent predecessor’s footsteps, a sizable chunk of vetoed projects will be those under $50,000. There are no rules requiring lawmakers spend more than $50,000 on capital outlay projects, but there are legislative guidelines suggesting they shouldn’t allocate below that amount for a project. Nonetheless, lawmakers each year do. 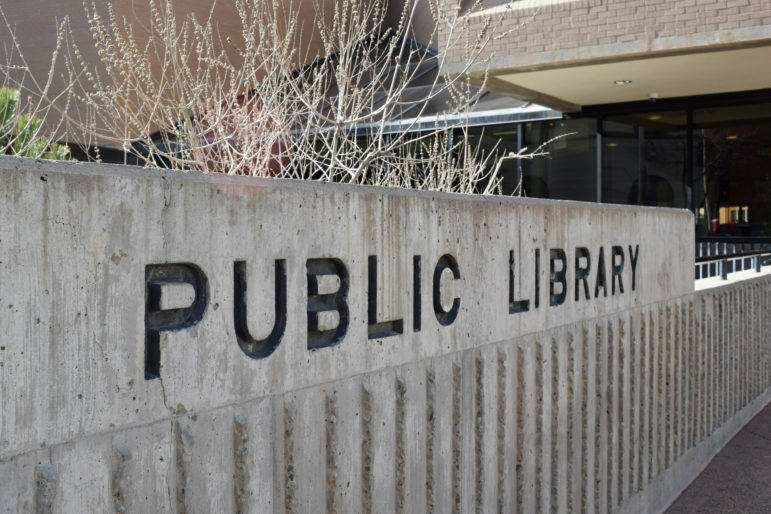 A review by NM In Depth of projects in the main capital outlay bill this year shows about 15 percent are under $50,000, but those make up less than one percent of the total $933 million dollars, or $6.2 million. Only a handful are $10,000 or less, totalling $353,000. None fall under $2,500, a far cry from years when capital outlay dollars were funding small equipment purchases under $1,000. This year, $2,500 is allocated to Barcelona Elementary School in Albuquerque for audiovisual equipment. $5,000 each is allocated to eight projects around the state for library, senior center, museum and veterans facility improvements. There’s a senior center dishwasher with a price tag of $9,500 and a bundle of acequia systems are allocated $10,000 each for improvements. These are a few examples of projects that Sen. Stuart Ingle, R-Portales, said only need those smaller amounts, but are important. But reformers say the state squanders money on small projects that often aren’t completed in a timely fashion or don’t add up to big infrastructure improvements that would benefit the state economy. New Mexico’s system–unique in the country–allows lawmakers to divvy up among themselves a portion of each year’s infrastructure money. In a flush year like 2019, where the state spent around $1 billion on projects, legislators divvied up about $360 million. The rest was allocated by the governor and state agencies. Lawmakers make their own individual decisions about how to allocate their pot of money, and legislative rules exempt their individual decisions from public disclosure laws. The result is an inefficient and costly system, reformers say, lacking accountability. Lawmakers push back, saying they know best what their communities need. The current system, they say, provides smaller, often rural communities or constituents with much-needed money that they’d otherwise not get, particularly those who can’t afford a high-priced lobbyist to make their case in Santa Fe. The push and pull over how the capital outlay system should work was a flash point between former governor Susana Martinez and lawmakers. Martinez didn’t take much umbrage with capital outlay projects in the first couple of years of her administration. But by 2012 she was wielding her veto pen, and from there ensued years of outright warfare with lawmakers over capital outlay. Martinez famously vetoed the capital outlay bill in 2015, then later called a special session of the Legislature to pass what most agree is important money not only for community infrastructure needs but for job creation as well. In 2016, Martinez issued a detailed veto message to explain why she had struck all funding allocations under $10,000, saying legislators had “grossly increased their pork barrel spending” at the expense of “regional and statewide infrastructure needs.” The message was scathing, and arguably political, but it also detailed problems echoed by reformers across the political spectrum who say the capital outlay process is broken. In 2016, after that blistering veto message, the Legislative Finance Committee staff worked with the Association of Counties, the New Mexico Municipal League, and the Department of Finance and Administration to develop guidelines for prioritizing projects, which they hoped would assist lawmakers when making their funding decisions. The analysts suggest lawmakers should consider a $50,000 minimum for capital outlay projects unless a lesser amount is needed to complete a project. In the 2016 guidelines, the word “complete” is underlined, suggesting that smaller amounts should complete projects already in progress. Time will tell how Lujan Grisham will handle capital outlay appropriations. She has a little more than a week left to make decisions about the 2019 legislation. As New Mexico’s 2019 legislative session draws to a close, lawmakers are poised to allocate almost a billion dollars to infrastructure projects around the state. The Senate Finance committee approved $933 million yesterday for capital projects statewide.